Prepared by the City of Grande Prairie, this profile provides relevant information for business and industries interested in investing in Grande Prairie. 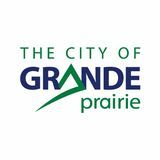 In our efforts to direct and assist in the overall economic growth in the region, the City of Grande Prairie would be pleased to provide you with guidance and information tailored to meet your needs. Please do not hesitate to contact our office if you require further information. The information in this publication has been compiled from sources deemed reliable. Readers and users of this profile are encouraged to make independent investigations to satisfy themselves of relevant facts before relying upon them. While every attempt has been made to ensure the accuracy of this guide, some information is subject to change without notice. This guide is intended as an information source and does not imply endorsement of any service, association or organization. The City of Grande Prairie will not be responsible for any loss, damage or claim arising from or related to an interpretation, use or reliance on the information contained in this publication. important component of the region’s diverse economy. skilled workforce to the region’s major economic sectors. Prairie is an excellent place to live, work, and play. the 2018 Alberta Summer Games. modation information for every space in Grande Prairie. Bed Bath & Beyond and Marshallâ&#x20AC;&#x2122;s.
connect Grande Prairie to major markets and ports across North America. The Grande Prairie Airport offers daily service to both Calgary and Edmonton. Several smaller communities bring the total trading area population to over 289,000 people. of 5 than over the age of 65.  * Division 19 includes Banff, Jasper, Rocky Mountain House, Athabasca, Grande Prairie and Peace River. Grande Prairie is a community that recognizes innovation as an important driver of economic development. Opportunity is a word readily used to describe the city, powered by innovative individuals and businesses who contribute to the regionâ&#x20AC;&#x2122;s growth and prosperity. innovators and entrepreneurs in the region and surrounds. office rentals to new and transitioning businesses looking for operational space, meeting space, training space and the like. Grande Prairie remains one of the top places to build a business, find employment and integrate into a growing community. Diverse economic drivers and an entrepreneurial business culture continue to offer opportunities in a variety of industries. time at home with family and less time spent on the highway. their time with your business. Residents of Grande Prairie have long proven themselves as resourceful and entrepreneurial. The innovative nature of the community has helped to develop a network of resources to support the entrepreneurial pursuits, business development that is common in the city. BUSINESS RESOURC ES ABORIGINAL BUSINESS AND ENTREPRENEURSHIP DEVELOPMENT ABED is a program of Indigenous and Northern Affairs Canada which provides services and support for the growth of the Aboriginal business sector. It helps First Nations business startups with the development of business plans, accessing lenders and financing. aadnc-aandc.gc.ca | 780-495-2954 ATB ENTREPRENEUR CENTRE As of May 2018, Grande Prairie is the fourth location in Alberta to welcome an ATB Entrepreneur Centre. The Centre offers various tools to help your business and personal finances grow together. Small business experts are available to provide mentorship and advice at various stages of your business. atbentrepreneurcentre.com | 780-539-7450 COMMUNITY FUTURES GRANDE PRAIRIE & REGION The Community Futures Grande Prairie & Region office is a community driven, non-profit organization that provides a wide range of small business services and business management tools for people looking to start, expand, franchise or sell a business. grandeprairie.albertacf.com | 780-814-5340 GRANDE PRAIRIE & DISTRICT CHAMBER OF COMMERCE The Chamber of Commerce connects business by creating opportunities for networking, business promotion, advocacy, and policy development. The Chamber makes services accessible to businesses of all sizes, types and industries. The Grande Prairie & District Chamber of Commerce is the third largest in Alberta with over 1,300 businesses representing more than 20,000 employees. In Alberta, the minimum wage for general employees is $15.00. years, employees are entitled to three weeks of vacation with pay, or 6% of the employee’s wages for the year. hours a day or 44 hours per week. TAXATION Grande Prairie is an attractive place to build and expand your business. Alberta has a distinct advantage over other provinces in Canada with the absence of a provincial sales tax and low cost tax regime. For tax information regarding properties in the rural service area please contact the City of Grande Prairie Tax & Assessment at 780-538-0315. Grande Prairieâ&#x20AC;&#x2122;s vibrant economy has developed with years of steady growth. million in economic impact in the downtown to date. ance on development opportunities on their lands. project increased the capacity of underground infrastructure such as sanitary, storm and water facilities. A complete streetscape revamp for these phases included new surfacing, trees, benches, lighting and other features to enhance the city’s core. As the geographic centre of the city, downtown is a busy and attractive place to do business. Unique shops, businesses and the cityâ&#x20AC;&#x2122;s largest office buildings attract a diverse group of patrons. Banks, furniture stores, clothing and jewellery boutiques, as well as a great selection of local products at the year-round farmers market make for a vibrant downtown. use buildings downtown with ground level commercial and three floors of residential above. Once completed, Toremide Towers will bring new commercial and residential opportunities to downtown, helping to build a vibrant city centre. Bowes Family Gardens and Revolution Arena. ity to gather in support of the arts and literacy in Grande Prairie. Backstreet Boys, Elton John and more. Grande Prairie’s local real estate market remains affordable. Home prices remain low relative to the average household income. Overall, the cost of living remains relatively low in comparison to both similar sized cities as well as major urban centres. operated by a mix of investor and municipally owned companies. have the option to enter into contracts to ensure price certainty. to the communication services they need. the rest of North America. are commonly shipped by rail from the area. shipping costs to and from the region. increased options for shippers, reduced costs and improved market access for regional producers. A number of annual initiatives take place to keep Grande Prairie clean and green. and account for more than 80% of the Canadian population. pick up garbage in and around the city. City Scrub occurs in the spring and has more than 7,000 participants helping to make our City a cleaner place. Edible Planting: The City has an edible planting policy that increases the number of planted fruit trees and shrubs throughout the community. Edible trees and shrubs are planted in parks throughout the city and residents are encouraged to enjoy the harvest. Whether itâ&#x20AC;&#x2122;s surfing at the state-of-the-art Eastlink Centre, walking the trails of Muskoseepi Park, or planning a camping trip into the great outdoors, Grande Prairie is abundant in recreational opportunities. The city boasts a number of accessible parks, golf courses and spectacular green spaces, while the foothills south of Grande Prairie provide year-round entertainment for hikers, bikers, campers, snowmobilers, skiers, and outdoor recreationalists. created in Alberta in the mid to late 20th Century. Hall, Pipestone Creek Store, a blacksmith shop, Hudson Bay Outpost and a display of agricultural and industrial equipment. gather to experience, create and celebrate art and culture. complex care, closer to home and with shorter wait times. health care facility providing ambulatory primary care, outpatient mental health and community health services. 172 beds and capacity to add an additional 60 in the future. integrated, accessible and family-centred care. Obstetrics – space for an anticipated 2,150 annual births in the region by 2025. This also includes midwifery services. Diagnostic imaging – including an MRI and future expansion capability. Respiratory therapy, laboratory and pharmacy services. Grande Prairie continues to profit from the wealth of oil and gas resources in the area. city is a sign of growing value-add opportunities in the region. make up more than half of the country’s output by 2040.
national and international investment to the region. As a strategic regional hub for retail and industrial trade and commerce, Grande Prairie has established itself as a lucrative market for local and multi-national retailers. The city is located at the centre of an affluent region with a total trading area of 289,832 people, forecasted to grow by 14,000 over the next decade. of which an impressive $2.7 billion comes from the primary trading area alone. signifies a strong disposable income. The highest spending is in Comparison Merchandise at 38%, followed closely by Groceries and Convenience at 32%. A further 18% is spent on Automotive/RV and Motorsport Parts and Sales and the final 12% on Restaurants and Entertainment. 100 AVE. 99 AVE. 108 ST.
Tourism is both an important and growing industry in Alberta. As one of the provinces largest sectors, the industry employs 111,000 people and attracts millions of visitors each year. Thanks to Grande Prairieâ&#x20AC;&#x2122;s position on the route to the Alaska Highway as well as the many shopping and recreational opportunities that the city has to offer, Grande Prairie has become a hub for shoppers and tourists alike. new hotels and expansions to local campgrounds and RV parks.